The Process industry is moving towards full process automation and internet of things (IoT). 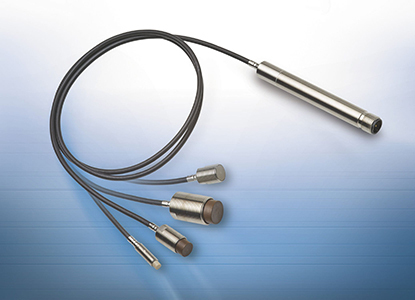 Bestech offers sensors that are both smart and cost efficient, such as wireless sensors and data loggers, laser profile scanners, thermal imagers, pressure sensors, displacement sensors, digital displays, and force sensors. The following are products of interest for the Process industry – send us an enquiry to discuss your application and we’ll find the right equipment for you. The eddyNCDT 3005 is a compact, powerful eddy current measurement system for fast, high precision displacement and position measurements. The system comprises a robust controller, a sensor and an integrated cable and is factory-calibrated for ferromagnetic and non-ferromagnetic materials. The PC420A contains an accelerometer and miniature vibration transmitter all within the sensor housing. The 4-20 mA output of the PC420A Series is proportional to acceleration vibration. An output of 4 mA indicates a level of 0 g or no vibration present. A full-scale reading of 20 mA indicates that the maximum range (Peak or RMS) of vibration is present. The BeanDevice® AN-420 is a wireless data logger with 4-20 mA current loop inputs. Special care is taken in the analog signal conditioner design with an accuracy of ±0.08% (FS) and a dynamic range of 16-bit. The BeanDevice® ONE-T is a wireless temperature data logger providing a storage capacity of 1 million data points. The scanCONTROL 2900 is a laser profile scanner for evaluating 2D/3D surface profiles. The D-line OEM transmitters consist of an exceedingly robust industrial pressure transducer and the popular I2C microcontroller interface. Thermal imagers detect and measure temperatures on a surface. The thermal imaging camera series TIM is designed for precise measurement tasks due to the high thermal sensitivity. Powered from just one USB cable, the system is truly plug and play. Different classes of performance models allow the use of an appropriate model for different applications. The Almemo 710 data logger offers outstanding performance with a user friendly touchscreen interface. 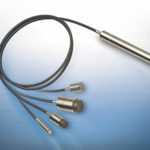 Linear Variable Differential Transformers with BBP and BBT pencil-type gaging probe that offers ultra-precise measurement of dimensions in a wide variety of QC, SPC, and industrial metrology applications.